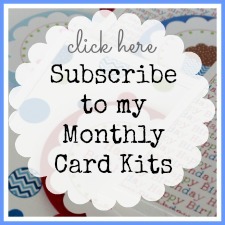 Scrapbooking with a card kit? So excited to announce that a new technique book has been released and I'm totally happy to be part of it. Here's a look at the cover! 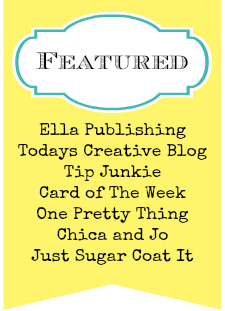 Best techniques from your favorite scrapbook bloggers. Memory Makers did an awesome job laying out the content! Close ups of my projects... just some previews. The dirty little truth... While I love having my work published in magazines and idea books I am not a huge fan of the process. Thats why this was perfect for me... one night just as I was wrapping up my emails for the night I got an email from May inviting me to be part of the book. It was perfect. My deadline for these projects was way back in January. I took advantage of every last moment to make sure my projects were perfect. And here is the real truth... Nothing gets me procrastinating more than a deadline. I need a snack, I need to run to target, I better check my email, probably should dust my living room, brush the dog, annoy my girls, bug my husband, polish my nails... you get the point. But though the process of this book project I learned that if I have a deadline I better set my own deadline, like a couple of weeks before the real one. Yep, I got my projects in on time. By the skin of my teeth. I learned that I do not like pushing the limits of a deadline. I do not like it at all, so I don't do it anymore. I hope you've enjoyed my today series that I posted the last couple of weeks. I got a good blogging break. I think i've rediscovered my blogging voice. I hope you'll keep visiting and for goodness sakes, leave a girl a comment! That's the best part of blogging! I recently ran across a pile of scrapbook pages that are unfinished. In varying stages of being finished, Some like this one just need some words,embellishments and most of all the "story" that goes along with these pictures. Some are just pictures matted with some matching papers. Madness I tell you. There was a day where I would not have slept if these pages were not done. Those were the days many many moons ago when I was a "chronological scrapbooker". Now i'm a "tell the story when your inspired too" kind of scrapper. Never the less i'll be trying to put some stories to this pile of forgot abouts this weekend. It will be the perfect time, since we are still hanging out at home alot as hubby recovers from his surgery. What is your scrappin style? 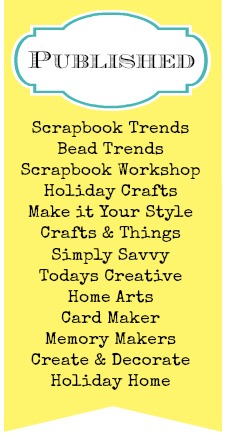 Are you a chronological scrapper, an event scrapper, a not at all scrapper, or a "I have the perfect paper" scrapper? Come on spill it... I wanna know. Good Monday morning everyone. Hope your weekend was a wonderful one. For me it was just perfect, the sun was shining. I didn't have any work I "had to do" so even though I did do a little bit of work it was really relaxing and fun. We took the girls to Omars exotic birds. It is a great place where you can hold the parrots and they are all so friendly. They beg to hop on your arm and be pet. We went to the new Rio Cafe in our area. Super yummy, I recommend the BBQ pork salad if you are going to try it. Today I am heading off to CHA, one of my favorite days of the year. The day when all the latest and greatest paper crafting products are debuted. Its such an amazing energy when the industry comes together. And its a time to see lots of friends that live out of the area. But all that said the highlight of my weekend was hearing Melody Ross speak last night. You can read her blog Here. If you haven't already read it I would recommend scrolling through and reading her 10 miracles. Absolutely some of the best writing i've read in a long time. Her message was so special and reminded me of so many simple things. I can't begin to tell you her "story" of how she lost her perfect "dream life" and how she endured a five year struggle to recover and how she is happier now then ever before. You really must read it from her. So many of you asked to see photos of Kylah and her neon green jeans I mentioned last week. So this weekend I drug her out and had a little "fun" with her and the camera. First she had me drive all over the city while she tried to explain to me just the spot that she wanted to go. She's 10 and she has no idea where anything is in relation to anything else. "you know that place mom, that dirt field with the flowers across the street from the pool" Exactly why she doesn't walk home from school. But anyway i'm off track. She was willing for about 2 and a half minutes. Half a minute longer than a toddler. Luckily I am quick shot Mc Graw, I know her like the back of my hand. Here are the close ups of the photos... Take note of the neon green jeans and zebra stripe tennies. She makes them look better than any one I know ever could. Oh my those dimples drive me nutty! And because I promised myself I would scrapbook for my girls this year here is a simple quick scrapbook page that took me less than 20 minutes. What better way to document your birthday memories then with a scrapbook page. I'm going to make one for myself but this one has no pictures because it's for some lucky person at the end of the week. If you're just checking in leave a comment for a chance to win everything I post this week... It's my blogs birthday! One thing I've resolved to do this year is to do alot of scrapbooking for my girls. Between my work at Sizzix, classes, and kits (lots and lots of kits) I've been slacking on preserving memories of my girls. Luckily I have still been keeping my journal of funny little things they say and my special memories, lots and lots of pictures, video and art. All the parts and pieces are there, now I just need to put them all together. A tiny felt mini album designed by Kim Henkel. Find her work Here. She was one of the masterminds behind the Autumn Leaves Books. We cut the birdie out of felt and did some hand stitching. Very cute and one daysoon i'm going to fill it with pictures of my girlies and keep it in my purse. We're taking it pretty easy. Not sure if hubby and I have colds or allergies. Hope your weekend is going well! Today I finished the scrapbook page of Niguel that was inspired from This Post. What I have really loved about scrapbooking more is using up some of the things that have been just sitting around for far to long. Seriously I have some stuff that is soon to turn to antique. Vintage isn't something I find at flea markets, I can dig to the bottom of any jar in my craft room and find it. When I scrapbooked this past weekend I opened my tote and there like a time capsule was all the stuff from the last time I went to The Scrapbook Oasis with Steph. It was a mere two and a half years ago. Now it hasn't been that long since i've scrapbooked but obviously that long since I drug out the old tote! Sad, sad little tote! Swirls - I painted them yellow, they are at least 5 years old! Yellow acrylic flower - I bought that little guy at a bead store 3 years ago. Sticker sentiments - Probably a year and a half old. Buttons - Now those really are antique and vintage they are from my grandma! I strictly use them on things that are for me personally. I love every single one of them! Here's a close up of the flowers. Tomorrow i'm challenging myself to find the items i've been holding on to the longest and make something from it. Want to join me in the challenge? So glad I gave away that sticker binder! I took your suggestions for turning This Blog Post into a scrapbook page. Here are the results... More paper from Adornit. I'll be working on Niguels page tomorrow. Smiles!